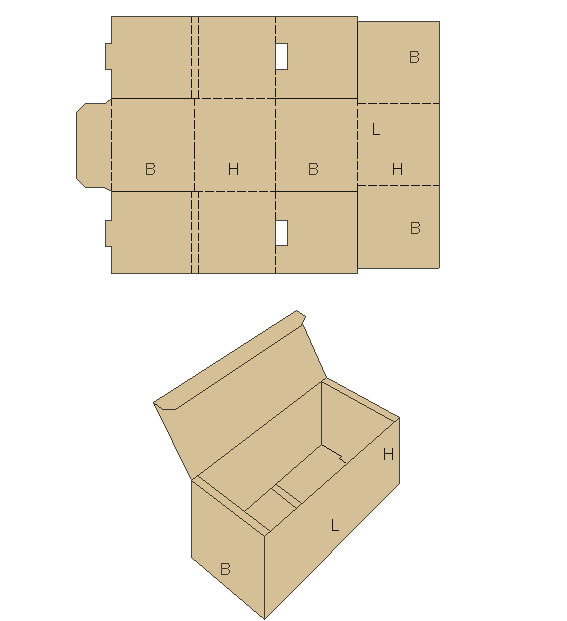 Often used for shipping small components or as an alternative mailer pack (See below for image). Die Cut boxes are quick and easy to assemble and the nature of the style gives excellent protection through the post once they are made up. This style produces very little waste during manufacture so is very cost effective. Locking tabs can be added so no need for taping. 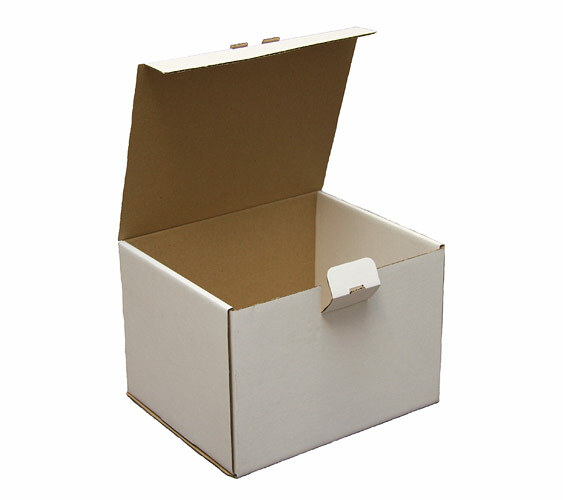 The box can be manufactured in brown, mottled or white corrugated board and be produced plain or with up to a 2 colour print if required. The boxes arrive flat packed on a pallet, this means they can be stored easily. If you prefer to remove the boxes from the pallet and store them on shelving or racking we can strap the boxes into manageable bundles.